Often, when a verdict after a trial is reversed, other issues will be addressed which, though they do not affect the result, are likely to arise again on remand. While such a discussion may constitute dicta, it is justified by the desire to avoid the burden and expense that would result from the repetition of uncorrected error. Whether to undertake such an exercise is, of course, discretionary. While my colleagues, for perhaps understandable reasons, decline to engage in it, I take a different view and write to address more fully Part III of the panel opinion, which takes issue with the district judge's finding that the Grunbaum heirs had failed to produce “any concrete evidence that the Nazis looted the Drawing or that it was otherwise taken from Grunbaum.” Bakalar v. Vavra, 2008 WL 4067335, at *8. While the panel opinion observes that “[o]ur reading of the record suggests that there may be such evidence,” [Panel Opinion, ante at *9] it does not say what that evidence is, nor does it discuss the legal principles applicable to what is essentially a mixed question of law and fact. The district judge is left to comb the record without assistance, looking for evidence he did not see the first time around, and without guidance as to the legal principles that make the evidence particularly relevant. I write to fill this gap. “Under American law and the law of many foreign states there is only one scenario in which a good-faith purchaser's claim of title is immediately recognized over that of the original owner. This scenario arises when the owner voluntarily parts with possession by the creation of a bailment, the bailee converts the chattel, and the nature of the bailment allows a reasonable buyer to conclude that the bailee is empowered to pass the owner's title.” Patricia Youngblood Reyhan, A Chaotic Palette: Conflict of Laws in Litigation Between Original Owners and Good-Faith Purchasers of Stolen Art, 50 Duke L.J. 955, 971 (2001) (emphasis added). The principle to which Professor Reyhan alludes is codified in more limited form in section 2-403(2) of the Uniform Commercial Code, which was adopted by New York, and which provides that “[a]ny entrusting of possession of goods to a merchant who deals in goods of that kind gives him power to transfer all rights of the entruster to a buyer in ordinary course of business.” No such voluntary entrustment took place here. Nor did Grunbaum's flight from the Nazis constitute a voluntary abandonment. Section 2-403(1) of the Uniform Commercial Code, which addresses principally the consequences of the transfer of title, rather than mere possession, provides that a person with voidable title has the power to transfer good title to a good-faith purchaser for value, and provides four examples of circumstances in which this rule applies. “The key to the voidable title concept appears to be that the original transferor voluntarily relinquished possession of the goods and intended to pass title.” Franklin Feldman & Stephen E. Weil, Art Law § 11.1.3 (1986). The Feldman *149 & Weil treatise continues: “He may have been defrauded, or the check he received may have bounced, or he may have intended to sell it to Mr. X rather than to Mr. Y, but, nevertheless, he intended to pass title. In such cases, the transferor has an option to void the sale, but the transferee can pass good title. A person who acquired the goods from a thief, however, has no title and consequently neither he nor successive transferees can pass ownership.” Id. ; see also Thomas M. Quinn, Quinn's Uniform Commercial Code Commentary and Law Digest § 2-403[A] (2d ed., 2002). Grunbaum never voluntarily intended to pass title to the Drawing. On the contrary, the circumstances strongly suggest that he executed the power of attorney with a gun to his head. Nevertheless, the district judge, relying on U.C.C. § 2-403(1), concluded that “Galerie St. Etienne was a seller with voidable title to the Drawing, having acquired it from Galerie Gutekunst in 1956,” and that Bakalar, a good faith purchaser for value, acquired good title to the Drawing. 2008 WL 4067335, at *6. While the district judge did not identify the defect in the title acquired by Galerie Gutekunst, which rendered voidable the title it passed to Galerie St. Etienne, his conclusion that the title was voidable implicitly recognizes that there was some legal defect in the passage of title to the Drawing as it made its way from Grunbaum to the Galerie Gutekunst. Otherwise, the district judge would have had no basis to characterize as “voidable” the title the latter conveyed to the Galerie St. Etienne. This characterization, however, ignores the fact that, if the power of attorney signed by Grunbaum was involuntary, any subsequent transfer was void and not merely voidable. This case is analogous to the circumstances in two reported cases. In Vineberg v. Bissonnette, 548 F.3d 50 (1st Cir.2008), aff'g 529 F.Supp.2d 300, 307 (D.R.I.2007), the Nazis issued an edict directing the Jewish owner of an art gallery to liquidate the gallery and its inventory after determining that he “lacked the requisite personal qualities to be an exponent of German culture.” Id. at 53. After unsuccessfully appealing this edict, the owner “surrendered to the inevitable,” and consigned most of the affected works to a government-approved purveyor. Id. The consigned pieces, including a painting by Franz Xaver Winterhalter known as “Mädchen aus den Sabiner Bergen” (“Girl from the Sabine Mountains”), were auctioned at prices below their fair market value. Fearing for his life, the owner fled Germany shortly after the forced sale. Consequently, he never retrieved the auction proceeds. Id. The district court had little trouble in concluding that the owner's “relinquishment of his property was anything but voluntary,” 529 F.Supp.2d at 307, and that holding was not challenged on appeal. It is of no moment that Perls Galleries may have been a bona fide purchaser of the painting, in good faith and for value and without knowledge of the saga of the Menzels. No less is expected of an art gallery of distinction. Throughout the course of human history, the perpetration of evil has inevitably resulted in the suffering of the innocent, and those who act in good faith. And the principle has been basic in the law that a thief conveys no title as against the true owner. Based on the historical record of the time, to which reference has already been made, the power of attorney Grunbaum signed in the fourth month of his confinement in Dachau does not appear to be any more voluntary a relinquishment of his legal interest in the Drawing than the acts discussed in Vineberg and Menzel. Bakalar's suggestion that the power of attorney constituted a voluntary entrustment of property to his wife is a proposition that remains for him to prove. Unless he does so, even if Mrs. Grunbaum “subsequently transferred the Drawing to her sister, Mathilde Lukacs, in 1938, to prevent it from falling into the hands of the Nazis,” as Bakalar alleges, she could not convey valid title to the artwork. Significantly, the district judge made no finding that any entrustment for this purpose even took place. On this score, Bakalar's amended complaint, which was filed on the eve of trial, posits two theories for what happened to the collection: 1) “that Elisabeth succeeded in hiding the [Drawing] from the Nazis prior to her deportation, and that her sister, Lukacs-Herzl, managed to take the collection with her into exile in Belgium,” or 2) “that after the Grunbaum's apartment was aryanized by the Nazis in 1938, the family's library and art collection were purchased by a Viennese antiquarian bookseller who lived in the same neighborhood for approximately $90, and that the Viennese bookseller then either sold or gave the collection to Lukacs-Herzl at some point thereafter.” (A-277.) Of course, the second alternative assumes that the property was taken by the Nazis, and Bakalar acknowledges that, even under the first theory, scholars believe it is unlikely that Lukacs-Herzl could have saved the entire collection given the circumstances under which she left Austria. Indeed, Grunbaum's heirs offered expert evidence consistent *151 with the premise that Lukacs-Herzl could not have removed or salvaged the paintings because “she was a Jewish woman who was interned in a Belgian work camp by the Nazis until 1944 after she fled Vienna together with her husband. It is more likely that a person like Kieslinger with direct ties to the Nazis took possession of the Grunbaum collection.” (A-1273.) Significantly, neither of the two theories posited by Bakalar are predicated on the assumption that Mrs. Grunbaum voluntarily gave over Fritz Grunbaum's art collection to either Lukacs-Herzl or the Nazis who aryanized her apartment. Nor do the district court's findings of fact support Bakalar's argument “that someone in the Grunbaum family more likely than not exported the Drawing from Vienna.” The district judge merely speculated that “[t]he Drawing could have been one of the 417 drawings Elisabeth Grunbaum possibly exported ... in 1938,” or that the Drawing “could have been one of three drawings Lukacs's husband exported,” or that “it could have been” one of the three watercolors exported by Lukacs's brother-in-law. 2008 WL 4067335, at *8 (emphasis added). These scenarios, based on pure speculation, do not constitute findings by a preponderance of the evidence that what “could have” happened, actually did happen. The Drawing has an established and documented provenance. It originally belonged to the collection Fritz Grunbaum, a well-known Vienesse cabaret performer. 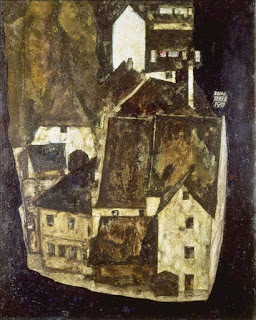 In 1938, the Nazis confiscated Grunbaum's residence and inventoried the contents of his art collection. Grunbaum was deported to Dachau, where he died in 1941. His wife, Elisabeth, died the following year. By all credible accounts, however, the Grunbaum art collection escaped confiscation by the Nazis, and the collection, including the Drawing, subsequently came in to the possession of Grunbaum's sister-in-law, Mathilde Lukacs-Herzl, after the war. *152 (A-217.) On the eve of trial, Bakalar moved to file an amended complaint, deleting his admission as to the initial provenance of the Drawing, because it was based on information he obtained from Kornfeld, who had come to this conclusion in 1998 after he learned of Fritz Grunbaum's relationship to Lukacs-Herzl. While Bakalar was apparently permitted to file an amended complaint, Kornfeld and Kallir had sufficient expertise in the field to provide competent evidence on this score. Nor is it any answer to argue, as Bakalar does here, that their opinion was based on circumstantial rather than direct evidence. Moreover, notwithstanding the amended complaint, Bakalar's admission as to the provenance of the Drawing constitutes competent evidence that the trier of fact is free to consider, along with Bakalar's explanation for its inclusion in the original complaint. In sum, my reading of the record suggests that there is substantial evidence to support the claim of the Grunbaum heirs that the Drawing was owned by Grunbaum and he was divested of possession and title against his will. As set forth above, both Swiss art dealer Eberhard Kornfeld and art dealer Jane Kallir swore that each of the Egon Schieles sold in a 1956 sale in Berne, Switzerland at the Gutekunst & Klipstein gallery (now Galerie Kornfeld), belonged to Fritz Grunbaum when he was deported to Dachau and murdered. Right now Austria is engaging in Holocaust denial by refusing to restitute these stolen artworks to the heirs of Fritz Grunbaum. The story of a Grunbaum family member selling the works in Switzerland is a complete fabrication. But even if true, as Judge Korman correctly points out, artworks stolen stolen from a concentration camp victim remain stolen even if a family member later stole it back from Nazis (this is the actual nutty Austrian theory). The actual Nazi records show that they robbed everything from the Grunbaums. The Jewish Property Declarations have stamps that say "Gesperrt" and "Erledigt" which indicate that the art collection and other property had been liquidated for the Reich by 1939. How can Austria continue to deny the Holocaust in the face of such clear evidence? 10:45 AM – 12:00 PM Panel 2: Wallflowers -- Equal Pay, Equal Wall Space?